Edmonton’s future as a festival city could be in jeopardy as bills for city services continue to rise, according to representatives of several prominent festivals. Edmonton's future as a festival city could be in jeopardy as bills for city services continue to rise, according to representatives of several prominent festivals. 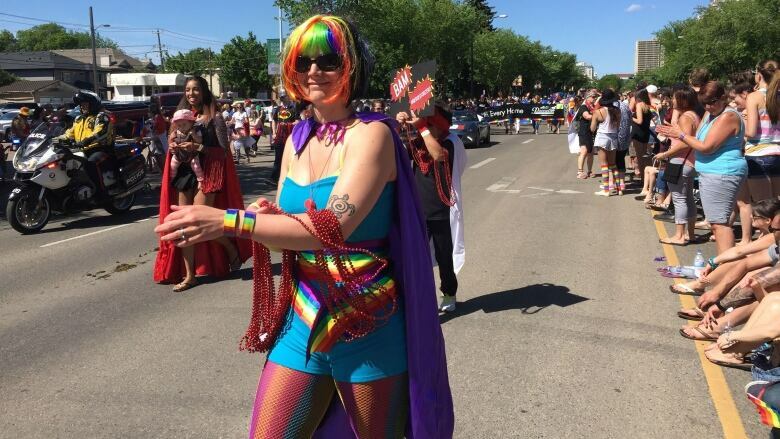 "The rising cost does certainly jeopardize the possibility of us being able to undertake a parade in the future," said Angela Bennett, executive director of the Edmonton Pride Festival. The festival has seen a 10-per-cent increase in civic costs over the last two years, paying $25,476 in 2015. "It's a sad reality, unfortunately," said Bennett. Other festivals are feeling the pinch too. Costs for the Servus Heritage Festival have risen 78 per cent over the past two years. Festivals like those, which don't charge admission or have alcohol sales, are in a particularly vulnerable situation as there are few ways for them to compensate for the growing costs imposed by the city. The city bills local festivals and events for police, transportation, permits and other costs. A city report released Thursday said some festivals have not seen an increase over the last two years, while others have had reduced costs. But with those whose charges have risen, it is mainly due to city and police employee wage increases, contract agreements and inflation. Folk Festival producer Terry Wickham said festivals like his, which charge admission, have not seen a big impact from increased city fees, but others are in dire straights. "It would be a bit like the Joni Mitchell song, 'You don't know what you got till it's gone,' if we don't do something fairly soon," Wickham warned. Festival organizers say the city has added insult to injury by signing massive sponsorship deals to attract non-local events to Edmonton. The International Triathlon Union (ITU) event receives nearly as many city dollars per year as all local non-profit festivals combined. "We're kind of being treated like second-class citizens to an extent, and I'm wanting that to stop," Wickham said. 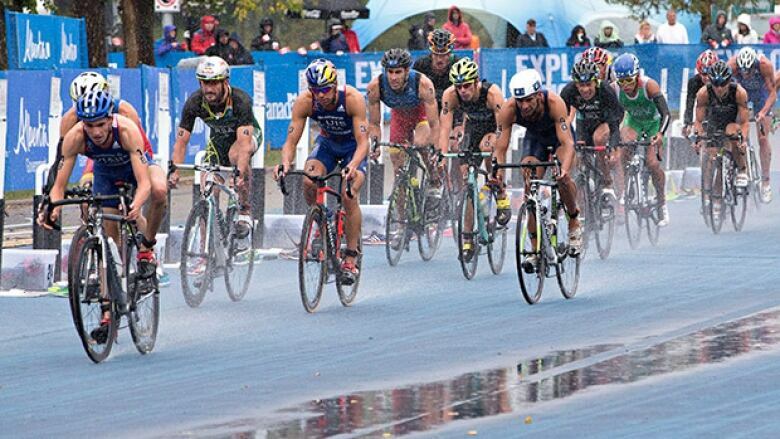 The ITU event receives a $1.2-million sponsorship from the city each year, but is charged $400,000 for city services. Red Bull Crashed Ice received a $400,000 sponsorship last year, and was charged $70,000. Wickham said the sponsorship money would be better spent on local events. "There's a reason we`re called festival city, and that didn't come from outside events. That came from festivals that are here," he said. Coun. Ben Henderson said there are different rationales for funding outside events versus local ones. The city has long promoted the reputational advantages of attracting national and international events to Edmonton. Henderson said home-grown festivals are likely being taken for granted. But comparing them to those outside attractions brought to town is "apples and oranges," he suggested. "As a city we need to be able to encourage all these kinds of activities to happen," he said. Representatives from five major non-profit festivals -- Edmonton Pride, Folk Festival, Heritage Festival, Ice on Whyte and Skirts a Fire -- met with Mayor Don Iveson and Henderson on Thursday to voice their concerns.They posed some solutions, such as following Calgary's lead. Calgary provides rebates of as much as 90 per cent to cover the civic costs of running major events. In Edmonton, the city provides grants to festivals based on a funding formula through the Edmonton Arts Council. Henderson said the costs charged by the city to festivals have risen faster in some cases than the amount of grant money available through the Edmonton Arts Council. "We're essentially cutting them," Henderson said. The Heritage festival is the hardest hit by city fees of all the non-profit festivals. Between 2013 and 2015, the cost of city services for that festival rose 78 per cent. The grants provided by the arts council don't come close to covering the $155,235 bill. The festival pays nearly as much as all the other non-profit festivals combined. "It's hard to find almost a quarter of a million dollars each year," said Heritage Festival executive director Jim Gibbon. The costs are largely due to policing, even though the Heritage Festival is a dry event that's contained to William Hawrelak Park. Rob Smyth, deputy city manager of citizen services, said the size of the festival accounts for part of the hight cost. "There's 380,000 people that go to that event," he said. "It's a very complex event." He said moving vehicles on the roads around the park combined with many pedestrians can make for a dangerous situation that costs money to monitor. And that`s on top of the cost of policing inside the event and other city costs. "We always look at the service levels and try to reduce costs wherever we can, but at the end of the day those are the costs," Smyth said. The city's community services committee will debate the festival cost issue on Monday. Festival representatives who spoke to CBC said they're optimistic council will make changes to help them cope with the burden of paying for city services.